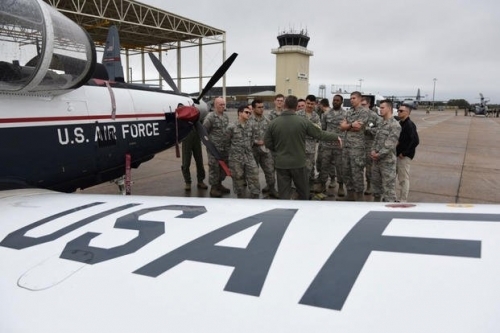 The Air Force recently unveiled its updated special duty selection program in an effort to reform how the service manages talent across the force. The service will now nominate and select airmen through a board review process, and an airman�s special duty assignment will be considered during an upcoming promotion, officials said. For officers, available special duty assignments include instructor positions at the Officer Training School, and within Reserve Officer Training Corps, the Professional Military Education program and Air Force Academy faculty. They also include jobs that have a functional �T-prefix� Air Force Specialty Code, or a formal training instructor position within initial skills training or formal school houses, said Maj. Nick Mercurio, spokesman for the service. Recruiting positions apply to any recruiting squadron in the Air Force, Mercurio said. �We�ll have our commanders, our senior raters, identify officers of the right competence and character to serve in these key jobs,� Kelly said, referring to those leaders who create and submit airman evaluations. Senior raters are required to endorse their officers in order for their applications to be submitted to the central board, the service said. An airman�s service will be noted during future promotion evaluations, Kelly said. �Not everyone is going to be a good instructor. Not everyone is going to be a good recruiter. But we certainly want to place value on and raise the value of these assignments in the enterprise,� Kelly said.